The Sharks are busy preparing their wonderful artwork for the upcoming Kids on 4th Arts and Crafts Fair & Fun Open Day on the 7th October from 9am – 12pm. Come along and celebrate the creativity and artistic talents of our children and enjoy lots of family art and craft activities. As well as face painting, jumping castle, live music, a craft workshop from the Craft Parlour and lots more fun. 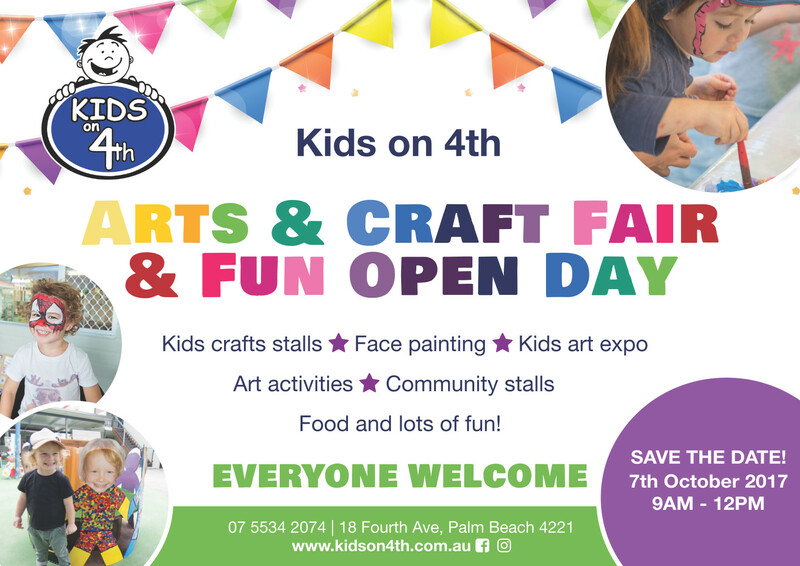 This is a very special day in the Kids on 4th calendar and we look forward to seeing you all there!